There comes a time in every person’s life when they are invited to attend an occasion or event that requires a suit to be worn. For the most part, these moments are few and far between, which means that for the majority of the year a suit is not needed, making buying one seem pointless. After all you would not pay hundreds of pounds for a coat or jumper than you only expect to wear once or twice a year so why should a suit be any different? Online suit hire means being able to find the perfect suit for the occasion and then give it back when it is no longer needed, this is both cost saving and allows you to keep up with the ever-changing fashion trends. The most common way to hire a suit is from a shop in your local town or city centre. This method is now being rivalled by online suit hire, but why would you choose online hire over the traditional method? The biggest reason is the convenience. Internet shopping has changed the way in which people buy products; it is also changing the way that they hire them. Finding a suit for a wedding, black-tie occasion or royal event can be pretty tough, especially when you work through the week. By the time you get out of the office and head to the nearest shop it is generally closed for the day, online suit hire takes away this problem. By using the internet you can search for suits at any time of the day and night, smartphones and tablet PC’s also mean you can browse through the different online suit hire shops on the move. Another problem of visiting hire shops is not finding the suit you want. Many towns only have one or two shops specialising in suit hire, if they do not have the outfit you need it means travelling to the next town. This may not be too much of a problem if you drive, but travelling on public transport will be difficult. Shopping online means that you can find everything you need in one place. Many companies that do hire their products offline have understood the benefits of the internet and designed websites to display and detail available stock that can be reserved online and picked up in store. This gives the internet customer even more options. How do you hire online? 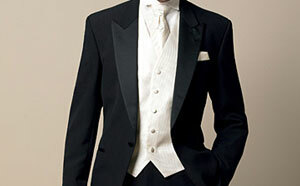 The process of online suit hire is a simple one. You can browse through the website until you find a suitable suit, select the size and colour you require along with any accessories needed and order it, providing it is in stock of course. The suit can be paid for securely online with a debit or credit card after which it is delivered to your chosen address, worn by you and then collected afterwards. The whole process really is as straight forward as that. Next day express delivery also means that you can hire a suit at short notice for an event without worrying if it is going to arrive.